Nexera queen size platform bed 346006 can be paired with different Nexera queen size headboards to create a complete bed set. Its unique design gives the impression the bed floats above the ground, giving the entire room an airy feel. Fits a standard Queen size mattress. No box spring required. 500 pounds weight capacity. Beautify your sleeping space with the Fairfield Collection full/double bed from CorLiving. This sleek white bonded leather upholstered bed is fully padded and has matching flat panel headboard and footboard styling, stitched with unique vertical piped detailing. Platform bentwood sprung slats means a comfortable sleep with no need for a box spring mattress. This bed from CorLiving combines space-saving practicality and timeless style! 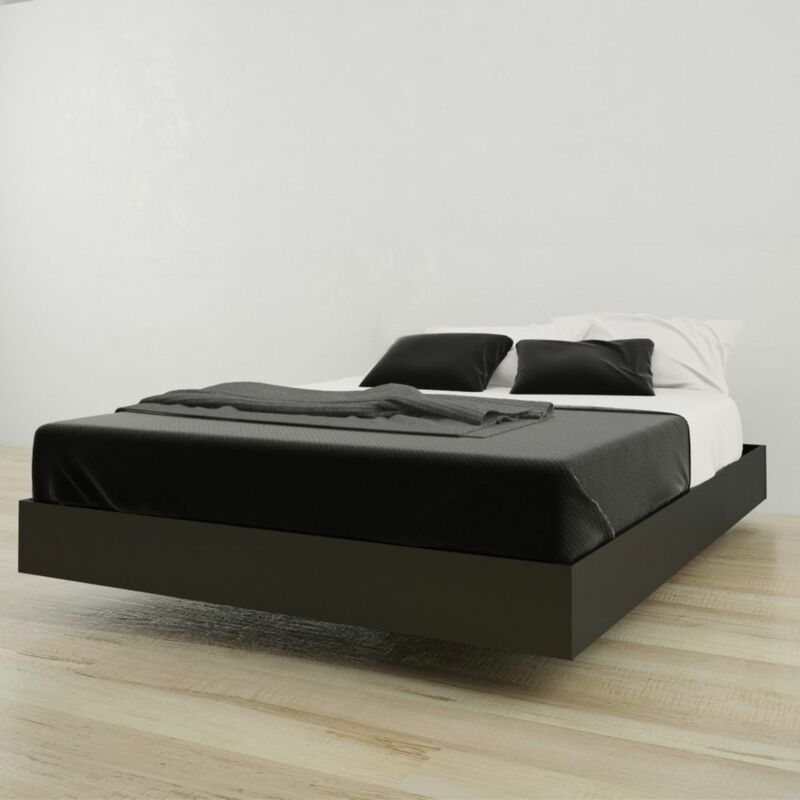 346006 Queen Size Platform Bed, Black Nexera queen size platform bed 346006 can be paired with different Nexera queen size headboards to create a complete bed set. Its unique design gives the impression the bed floats above the ground, giving the entire room an airy feel.